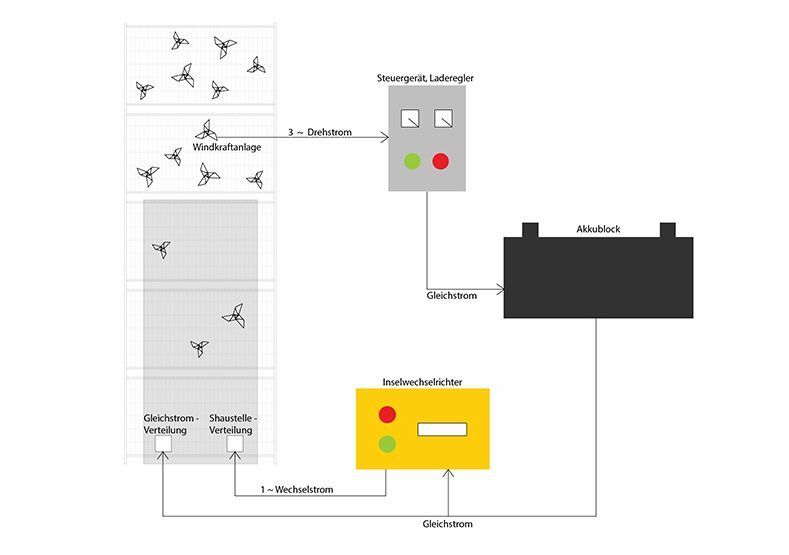 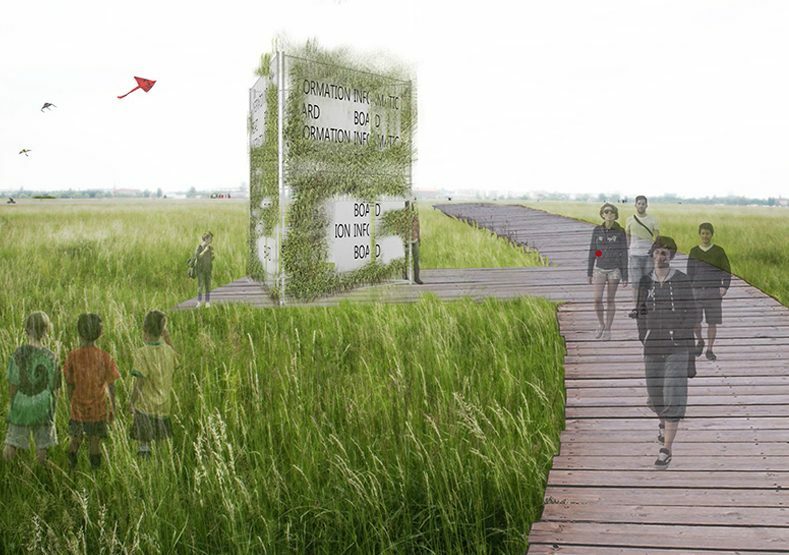 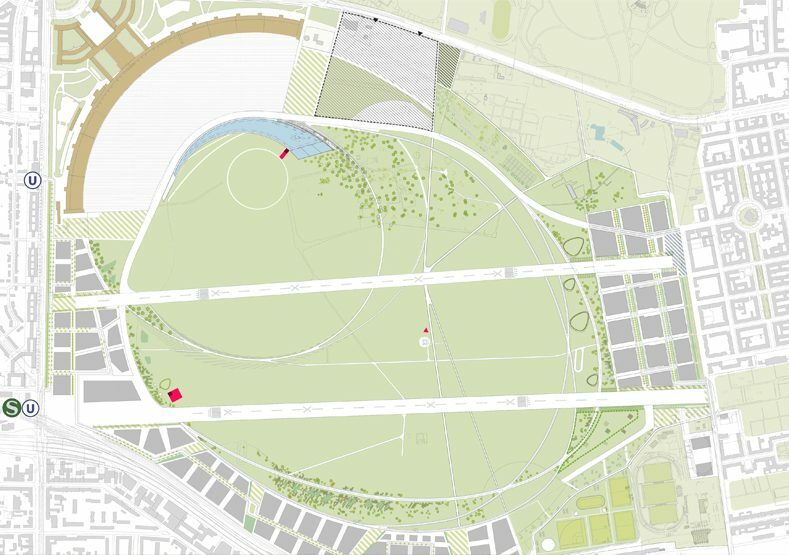 Schaustellle Tempelhof is a proposal for an invited competition to design a visitors and information centre that accompanies the building works of new elements in the public park area of the former Tempelhof Airport. 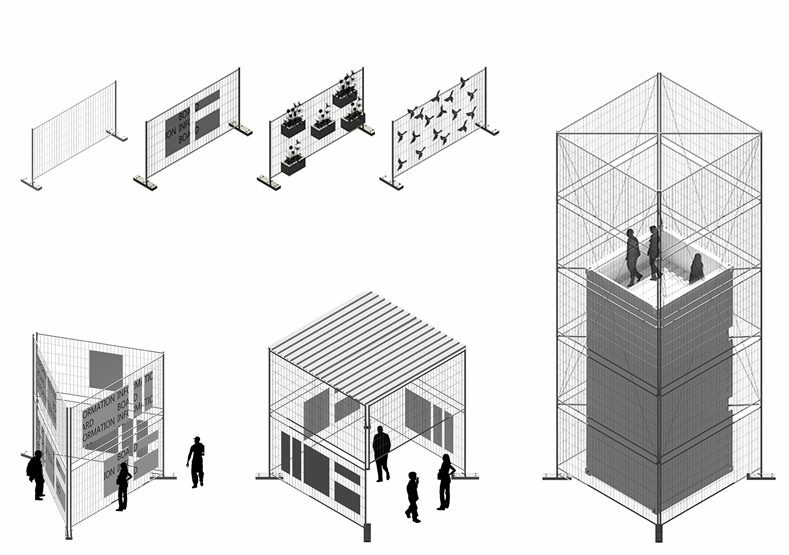 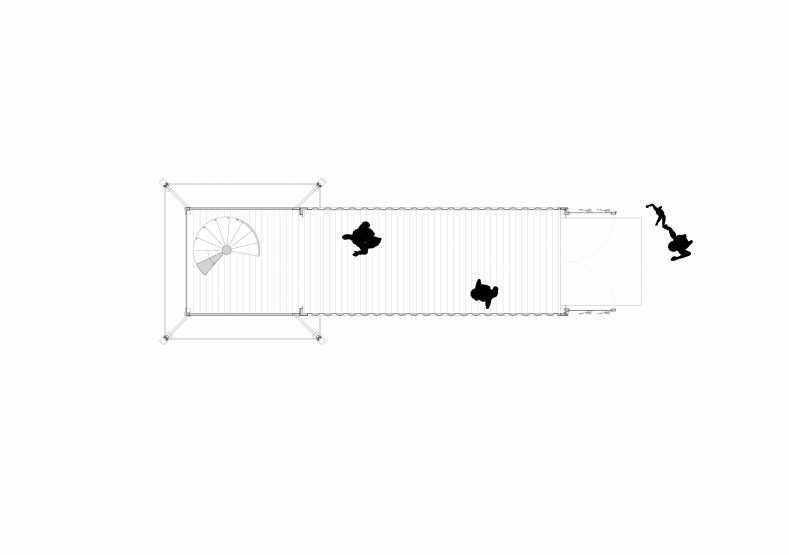 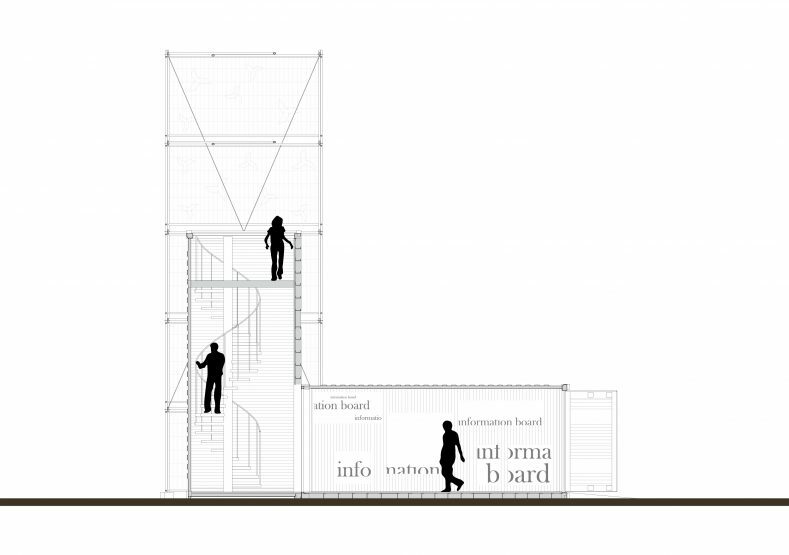 The propsal is focusing on the use of a typical building site fence that is used to create a series of design elements by enhancing the off the shelve modular system. 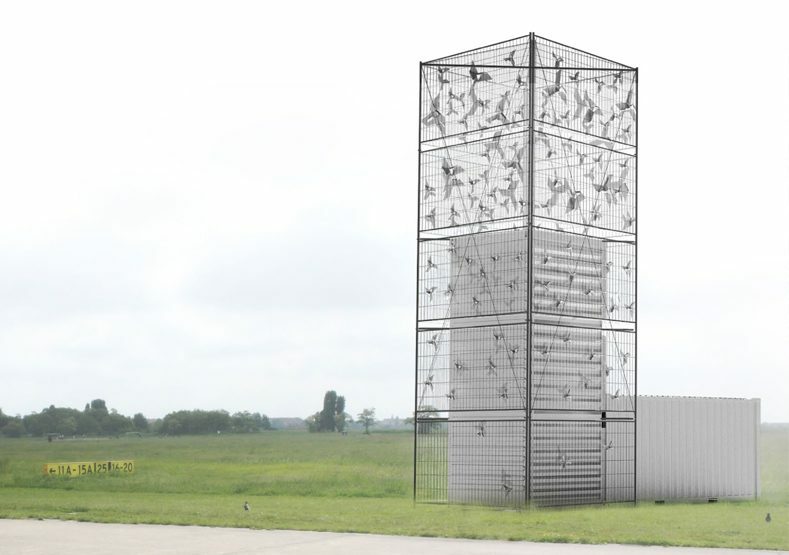 The centre piece is a viewing tower that is made of two shipping containers and clad with the adapted building fence system. 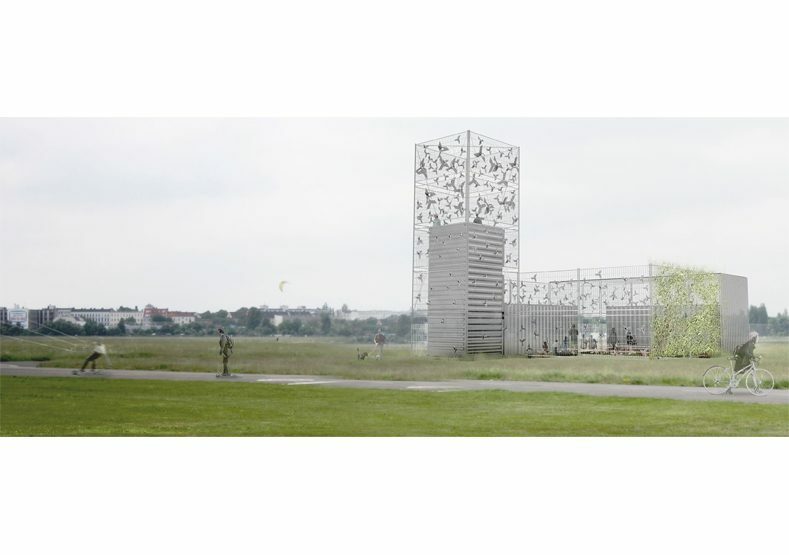 Additionally the fence receives electricity generating wind wheels that create a branding identity which links back to the use of wind driven playobjects and sporting equipment on the wind swept former airfield.